More coins - more fun! This pack is the ideal supplement to your game of choice. Increasing your fantasy funds can add depth to game play and open up the possibilities for new adventures! 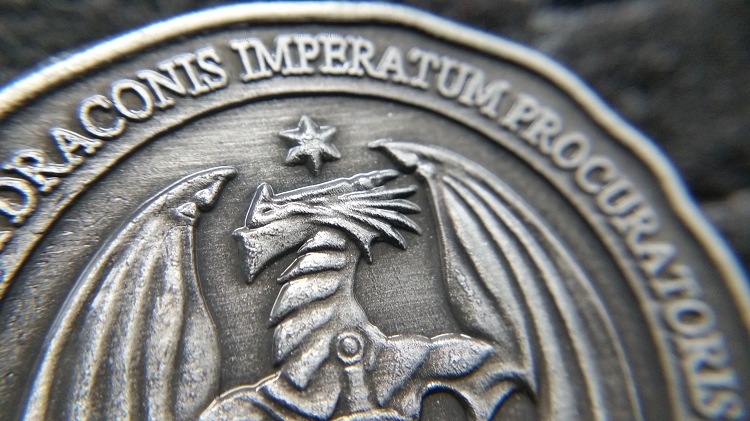 Pack contains 10 silver Draco coins, all in the usual high quality you expect from Fantasy Coin, LLC. 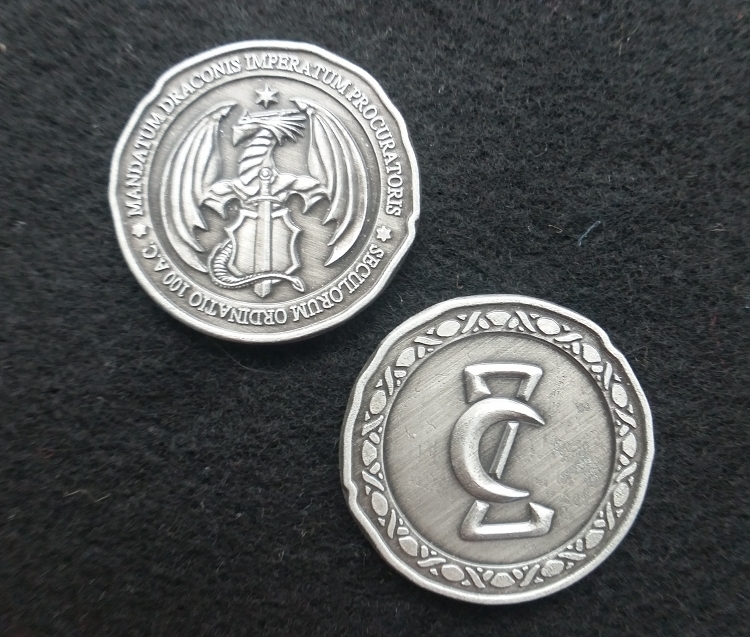 I'm very satisfied with the draco coin set and I love the copper and gold version but I thinks these silver coins are not good as the other two. Maybe because they are too big and there are too much flat surface on the reverse side. Their surface is more matt than the copper version, and because of it they are look a bit plastic. But their heavy weight is great. Anyway, I recommend next to the other two version.